While sitting at a quaint little tea room on a holiday in England (as well as being influenced by the popular show Downton Abbey and Enid Blyton novels), Sriram Aravumudan wanted to introduce the concept to Bangalore. But instead of the hassle of a brick and mortar place, he decided to go with an online bakery, specialising in everything vintage. a�?A few decades ago, the people in the city would enjoy an elaborate tea ritual post four oa�� clock,a�? recalls Aravumudan, who also runs My Sunny Balcony. a�?I think that tea culture has given way to the multiple coffee shops springing up everywhere,a�? he adds. His online venture, The Bakeaway, a week old, aims to bring back that elegant languorous tea time experience. a�?Be it potluck tea gatherings or friends coming over and putting things together a��savoury or sweet,a�? he explains further. 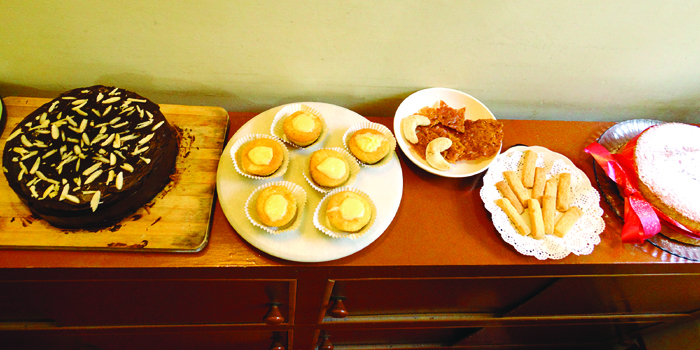 Along with his seasoned home baker buddy, Lahari Chinnappa, he seeks to curate an experience, not just edible products. The menu is simple and wholesome. Dona��t expect fancy sugar-crafted cakes that the market is saturated with, but non-fussy, sumptuous fare. Think orange chiffon cakes, Victoria sponges, marble cakes, scones and cookies of various kinds. 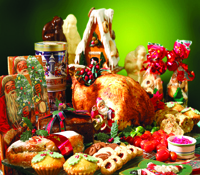 They open their online store with assorted cookies geared towards the festive season. On their shelves are advent and shortbread cookies traditionally made during Christmas time across the globe like the interesting vanillekipferl, a European crescent-shaped treat made from ground almonds. Also on offer are ausstercherles, made across Europe, these cookie-cutter type bites are covered with Christmas-themed frosting and are lightly flavoured with ginger and orange. Fancy an elaborate tea for two? If yes, we suggest you order their special, Tea For Two Box, which includes a selection of finely cut teatime sandwiches, scones with cream and strawberry jam, cookies, cakes and a selection of fine teas. Rs.150 upwards.